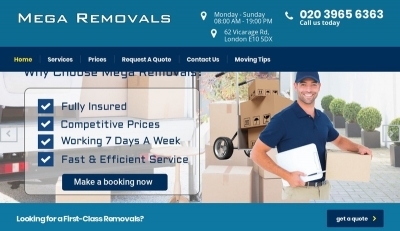 In this competitive removal niche you need true professionals like Mega Removals to relocate your house and office. For the last 20 years they proved themselves as leaders in the moving and storage niche with providing first-class services every time. Using the latest vans and technology, the moving team comes in no time, get the job done and leaves the customer in awe. If you consider making a move, then do not bother and let Mega Removals get everything ready for you. Now only – up to 15% discount.